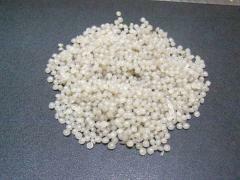 Polyamide of "PA-6 210/310" a granule (without glass. m on 30 kg) / + Polyamide a vtorichka. Sending across Ukraine. 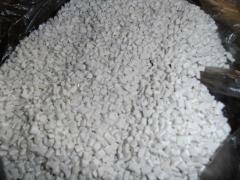 Polyamide (kaprolon) "PA-6 210/310" (without stele); "PA-6 210 KS" (with glass). 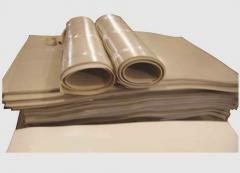 And also Polyamide in sheets and cores. Polyamides represent group of plastic which are better known to us as nylon, kapron and others. Whatever polyamide was, generally all of them perfectly transfer temperature differences. Maintain steam influence to +140 degrees, and at low temperatures — remain plastic. Production of polyamide is rather widespread in various spheres: to medicine, textile industry etc. Synthetic fabrics no other than polyamides. These are materials with low degree of gas permeability therefore their application is widespread by production of vacuum packing. Production of polyamides means interaction of various elements and technologies. Also polymers are various. Separately it should be noted polyamides steklonapolnenny to which structure fiber glass is added. The PAS is strong, steady against mechanical loadings. 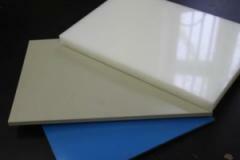 Also we bring to your attention sheets and cores from acryle (plexiglas) of a vinniplast, a ftoroplast and ebonite. Sheets software, PS, personal Computer, PET. Sending across Ukraine a delivery service convenient to you: SAT, NEW MAIL, AVTOLYuKS, IN-TAYM, etc. Unbelievable price on Polyamide of "PA-6 210/310" a granule (without glass. m on 30 kg) / + Polyamide a vtorichka. Sending across Ukraine. in Kiev (Ukraine) company Interplast Grupp, OOO. PVC plastic compound brand 57-40 sheet/roll of thicknesses. 2 mm, 3 mm, 4 mm. 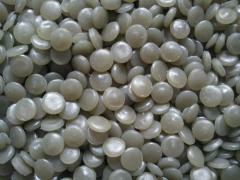 ABS plastic a granule for molding (a seryy.meshka on 25 kg. "STAREX") Sending across Ukraine. 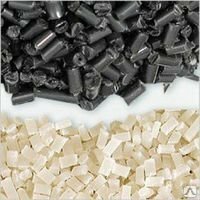 ABS plastic a granule (for litas. + ekstruziya.natur.tsv) LG-HI 121 (KOREYA) Sending across Ukraine. PVH plastic compound cable IO 45-12 (chern., white, natures.). Bags on 30 kg. Delivery across Ukraine. 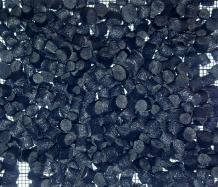 ABS plastic granule chorn. (for litas. + extrusion) LG-HI 380 (KOREYA). Sending across Ukraine. KS PA-6 210 polyamide a granule (from a steklom.meshka on 30 kg) Sending across Ukraine. Полиамид"ПА-6 210/310 "гранула(без стекла. м. по 30 кг)/+Полиамид вторичка. Отправка по Украине.Polyamide of "PA-6 210/310" a granule (without glass. m on 30 kg) / + Polyamide a vtorichka. Sending across Ukraine.Poliamid "PA-6 210/310" (bez szkła, m. 30 kg)/+ Wtórna obudowa poliamidu. Przesyłam na Ukrainę.El poliamido "ПА-6 210/310" el gránulo (sin cristal. M. Por 30 kg) / +Полиамид vtorichka. El envío a Ucrania.Поліамід (капролон) "ПА-6 210/310 " гранула ( без скла.мішки по 30 кг) Відправлення по Україні.Полиамид"ПА-6 210/310 "гранула(без стекла. м. по 30 кг)/+Полиамид вторичка. Отправка по Украине.Poliamid "PA-6 210/310" granül (olmadan cam. m. üzerinde 30 kg) / + poliamid resales. Ukrayna içinde gönderme.Полиамид"ПА-6 210/310 "гранула(без стекла. м. по 30 кг)/+Полиамид вторичка. Отправка по Украине.